The construction on Lincoln Interchange, a section of the Western Ring Route, began in November 2010. Image courtesy of NZ Transport Agency. A map showing the Western Ring Route. Image courtesy of NZ Transport Agency. The Maioro Street Interchange project involved the construction of a roundabout, and a cycleway. Image courtesy of NZ Transport Agency. The Western Ring Route is expected to be operational by 2021. Image courtesy of NZ Transport Agency. The Western Ring Route (WRR) is a 48km (30 miles) motorway under construction in Auckland, New Zealand. The road will connect Manukau, Auckland, Waitakere and the North Shore. The project is owned and managed by NZ Transport Agency, a Crown entity, and is expected to be completely operational by 2021. The WRR will run through three existing state highways, which include the Southwestern Motorway (SH20), the Northwestern Motorway (SH16) and the Upper Harbour Highway (SH18). 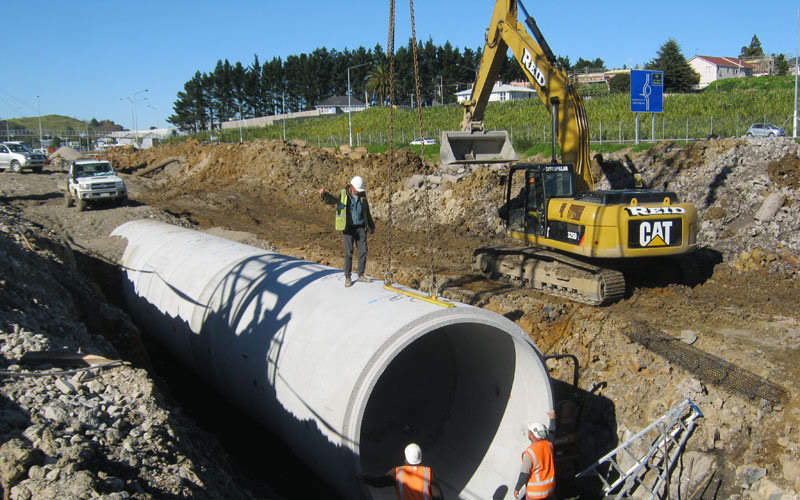 The project includes construction and road improvement works on sections including Waterview Connection and tunnel on SH20, Lincoln Road, Te Atatu interchanges, and St Lukes to Great North Road on SH16, SH16 Lincoln road to Westgate, and SH18 Upper Harbour Highway and connection to SH1. Western Ring Route will bring economic transformation in the country as it can enhance the movement of goods and services throughout New Zealand. Once operational, the road is expected to reduce dependence on State Highway 1, mainly on the Auckland Central Business District (CBD) and Auckland Harbour bridge. It will improve travel time reliability from the west to the south, the north to Manukau and from the CBD to the airport. 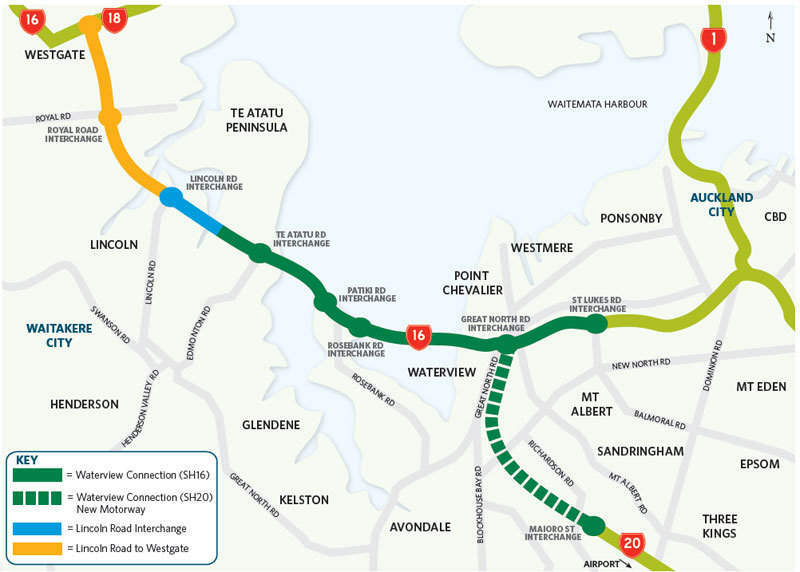 The Waterview Connection, a part of the Western Ring Route, is a 4.8km motorway section passing through Waterview and Owairaka, and includes 2.4km of the route comprising two tunnels with three lanes each. It also includes construction of four ramps totalling 1.7km in length to connect the Southwestern and Northwestern motorways. Construction on the Waterview Connection began in late-2011 and is expected to be completed by early-2017. Construction on the Lincoln Road Interchange project began in November 2010, while that on Te Atatu Interchange started in February 2014. The upgrades on $145m Lincoln Interchange and $65m Te Atatu Interchange were completed and officially opened in May 2016. Construction on the Maioro Street Interchange on Sh20 began in May 2010 and was completed in March 2012. 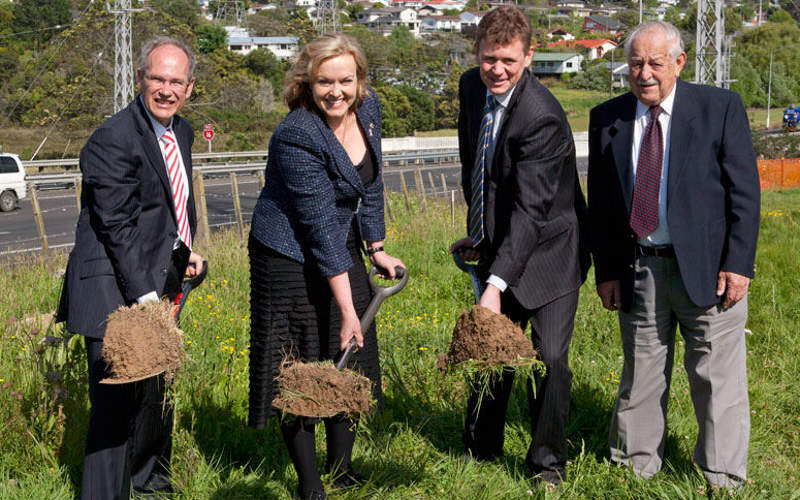 It involved construction of a roundabout, and a cycleway as part of Mt Roskill extension. Construction on the $268m Southern Corridor improvements began in October 2015. It includes widening four lanes between SH20 and Hill Road, widening three lanes between Hill Road and Papakura, upgrade of 16 existing bridges and construction of six new structures, as well as addition of new 4.5km walking and cycleway. The works are expected to be completed by 2018. Construction on St Lukes to Great North Road project began in May 2014. It involves upgrading a 2km section of the north-western motorway, and stretching the road from the existing 800m east of the St Lukes Road overbridge to approximately 200m east of the Carrington Road overpass. Construction on SH18 Upper Harbour Highway and connection to SH1 is expected to begin 2018. The road upgrade on SH16 from Lincoln Road to Westgate will start mid-2016 and will be completed by early-2019. It will involve widening the road from two to three lanes between Lincoln Road to Westgate, and addition of a bus shoulder lane in each direction. The contract worth $1.4bn for the construction of the Waterview Connection was awarded to Well-Connected Alliance, consisting of Fletcher Construction, McConnell Dowell Constructors, Beca Infrastructure, Tonkin & Taylor, Parsons Brinkerhoff and Obayashi Corporation. The sub-alliance partners selected for the project were SICE NZ and Wilson Tunnelling. 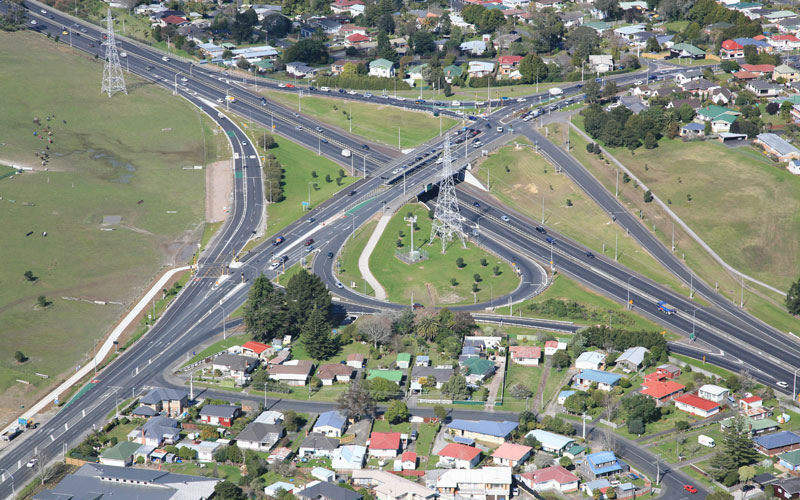 Leighton Contractors was awarded a contract worth $70m to upgrade the Northwestern motorway between the St Lukes road and Great North road interchanges in February 2014. The upgrade work is expected to be completed by the end of 2016. Leighton Contractors was also awarded the St Lukes Road upgrade contract. The $40m contract for the construction of the Maioro Street Interchange was awarded to Fletcher Construction, URS and Jasmax.